this is a sponsored post – all opinions are my own. may contain affiliate links. 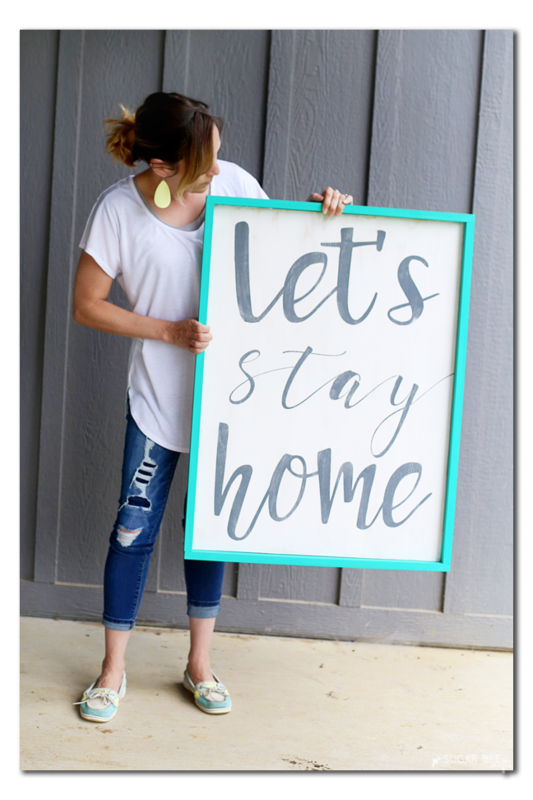 I love making things I see around – I’m all about DIY! I currently have a weakness for quote signs, sticking favorite quotes onto a board and hanging it on the walls. 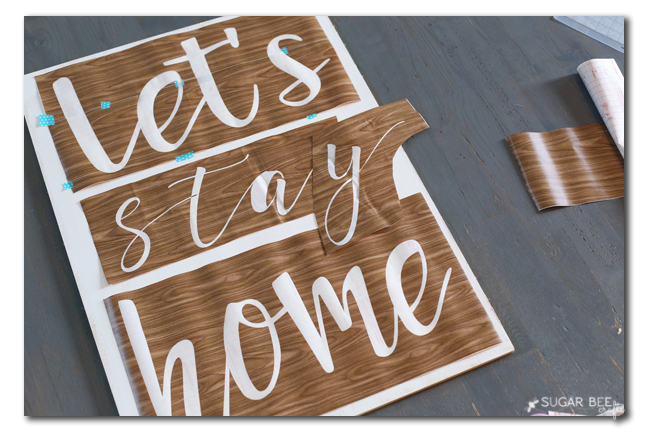 I’ve seen this Let’s Stay Home quote floating around on pillows and signs and wanted to make one for myself – isn’t it awesome?! 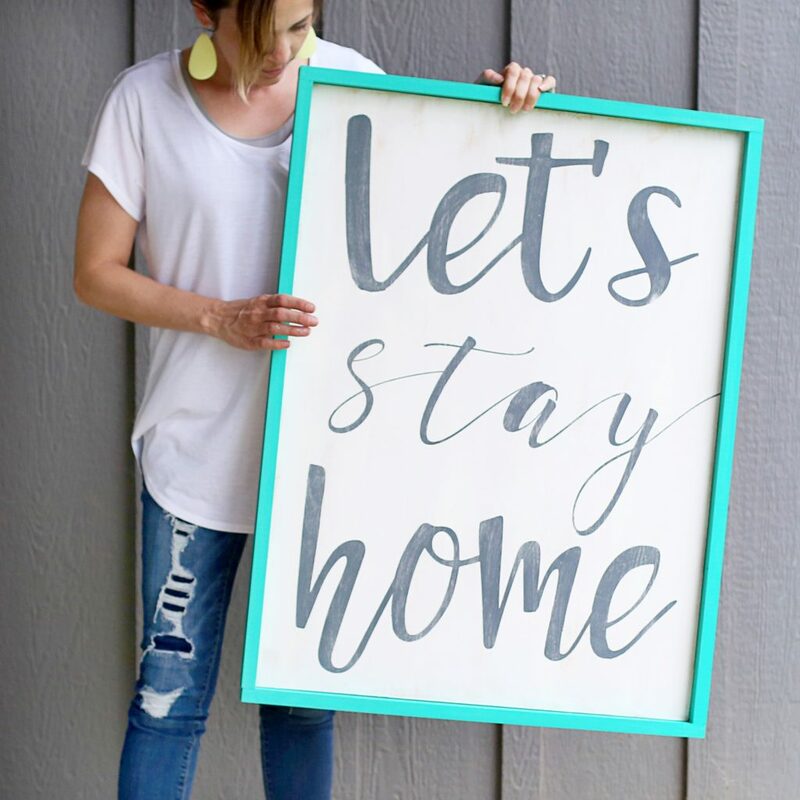 -Wood Board the size you want your sign to be. 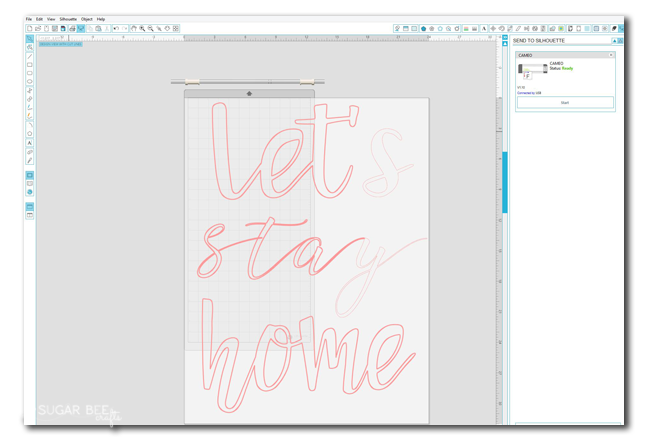 -favorite fonts – I used the Summer Font pack from FontBundles (and they’re on deal right now, save 95%, wowza!!) —UPDATE: that particular deal is over, but you can find more similar font deals HERE before they’re gone! -paint in the color of your choice. Peel the letters out and use the cutout as a stencil. Stick the stencils down on your board. 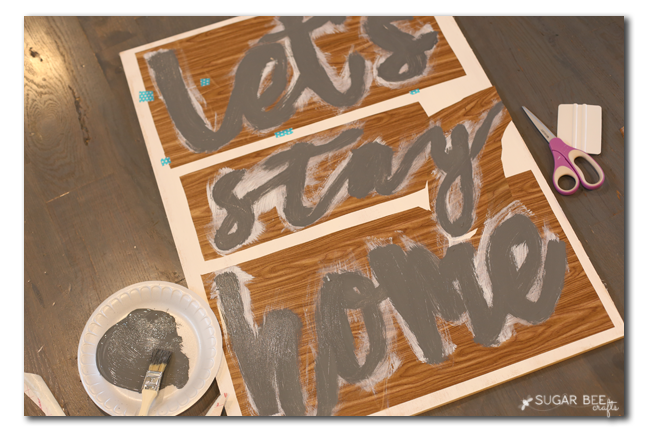 To aim for nice, crisp lines, paint a thin layer of the base coat of your board over the stencil first. Then paint the color you’d like your qoute. I went with gray (surprise, surprise). Let dry completely. 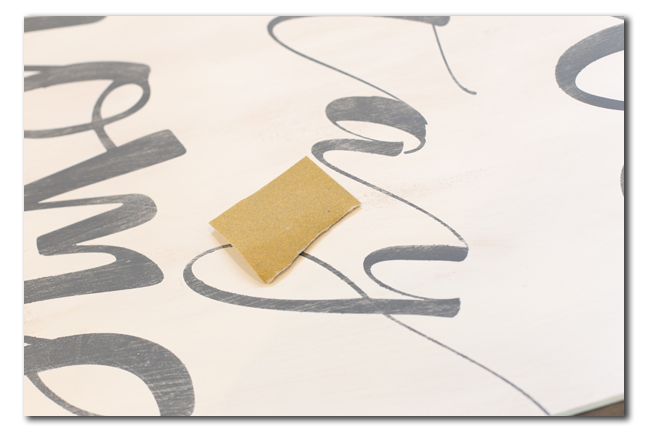 When dry, you can peel back the stencil and your amazing lines will be revealed! Next I sanded the letters to give them a bit of distressing. This is optional. Then I busted out my new favorite power tool and tacked on the trim boards. UPDATE, that summer font bundle is no longer available, but there are other awesome bundle deals, so check them out!! I love your sign. Thanks for sharing. OMG! This is perfect! My 7 yr old son was just explaining to us this weekend that we need a week to just stay home. Summer is just too busy! I’ve got to make this for him! Love this sign! Story of my every weekend!! Visiting from Show + Tell Party. 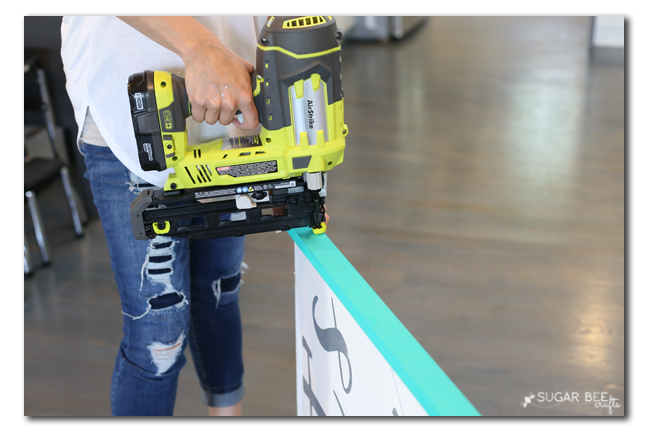 What size board and trim did you use? You are a genius! I’ve been so reluctant to use my vinyl as a stencil because it’s so expensive but I’ve got rolls and rolls of shelf contact paper around! I love using contact paper! What kind of paint do you use? I like the gray but not sure what kind to get. it’s just craft paint that I had on hand. Any kind of paint should work. Have fun with it! This is such a great idea! 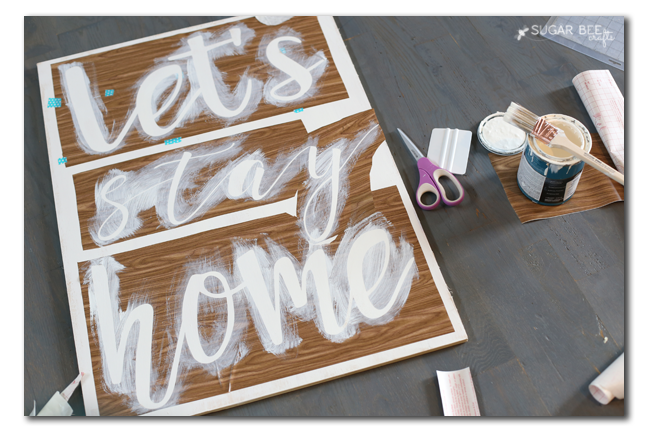 I attempted something similar but had a hard time pulling the backing off of the contact paper without the letters wanting to tear or become misshaped. Any suggestions on how to do this while keeping the outline of letters intact? It could have been the font style I was using possibly? 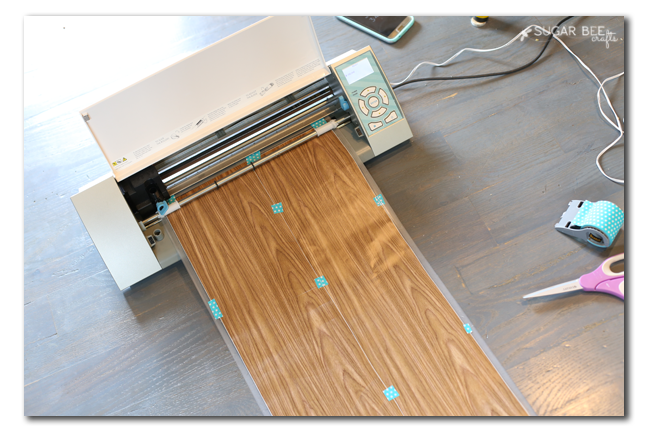 I use transfer tape to move the stencil over, that helps a bunch! 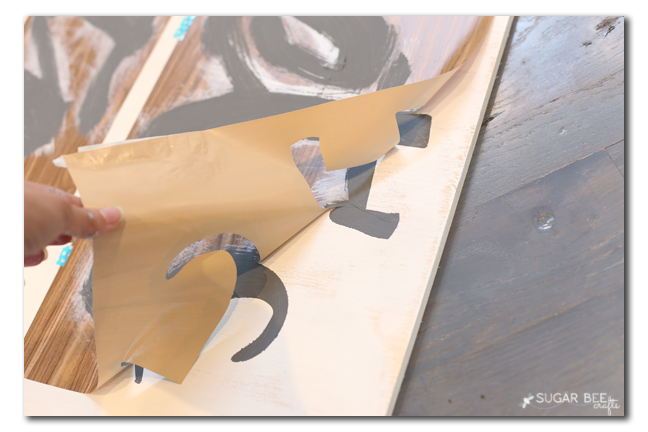 Do you weed the inside of the letters then apply the transfer tape over the stencil portion then once in place you peel the backing off the contact paper, apply to wood then remove the transfer tape to paint? Mandy Beyeler recently posted…Show and Tell, Link Party Time! 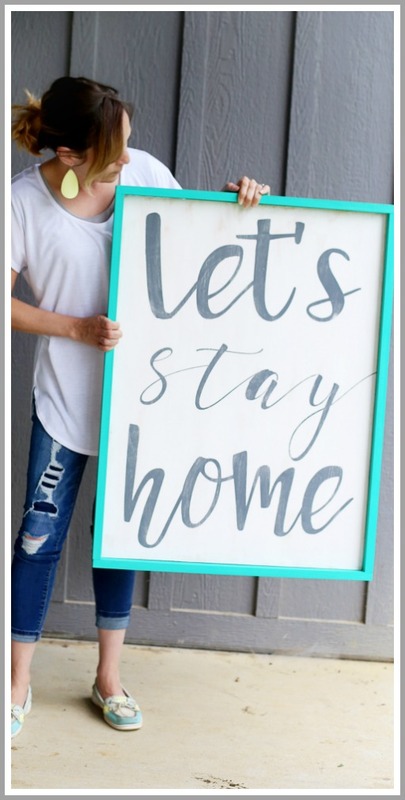 This sign is awesome, I love how you painted the frame! I would like to use one picture, with a link back to this post, in a favorites post I am writing. Would this be OK with you? one image with a link back to the tutorial is gret, thanks for checking! I just happened upon this and fell in love with your sign. What type of board did you use? Is it just a piece of plywood or something else? Do you have a YouTube tutorial of this? I need more help than the instructions given.